The eaves are cut by hand using shears. This is a time consuming process that requires patience to ensure that the angles cut are both accurate and neat. The aim with this property was to make all the gables look the same. It should be noted that the pitch of the roof is far less than 45 degrees. 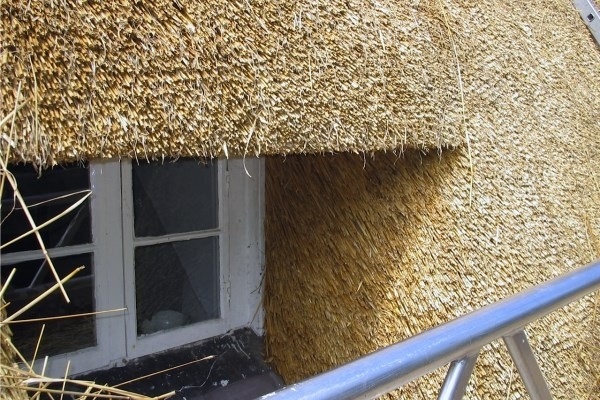 This means that the thatch will wear more quickly and the customer must be informed of the limitations of the roof.